There’s nothing quite like the first wedding of the spring. The flowers are starting to bloom, while Coloradans wonder if it’s finally safe to pack away the sweaters for awhile. For Brian and Bethany, the day was warm but overcast; a perfect transition into the balmy months ahead. The Lodge at Cathedral Pines, just outside Colorado Springs, is really quite beautiful. The rustic cabin has a bank of windows behind the dining area for a perfect view of the mountains and trees outside. It’s really a dream location for any Colorado Springs wedding photographer. While Bethany, her closest friends, and mother got ready, I could feel the excitement they all shared. They gleefully did each other’s hair while little girls stared enviously at the layers of tulle hung everywhere. Meanwhile in the groom’s room… they had just discovered that he had been given the wrong tuxedo. A groomsman was frantically driving back to see if they could find the right one before the ceremony in an hour. I promised not to say anything that would stress out the bride, so I just went back and kept the mimosas flowing. Brian and Bethany had the amazing idea to write each other notes of love and encouragement to read right before the ceremony. What those notes contained was for the two of them alone. But judging from their reactions I think they must have been pretty darn good. One of my favorite moments of any wedding is seeing the bride walk down the aisle with her father. It’s such a mix of emotions. The bride and groom see each other. Guests start to cry. The reality of what’s about to happen sets in. All the while, the father gets ready to hand over his little girl, now a woman, to start a new chapter of her life. The bride’s family had a lot of fun during formal portraits, which made them a blast to work with. After the more traditional pictures, they asked me to do something that they could “put on the cover of a rock and roll album”. You got it, guys! Brian and Bethany: thank you for letting me welcome in this new spring with you! May you find many years of happiness together. 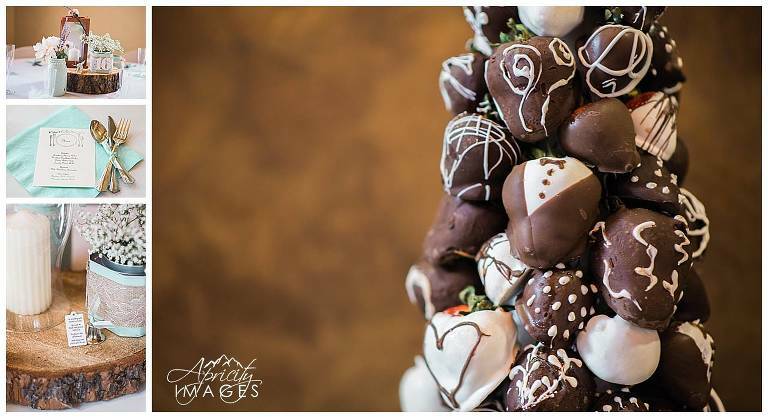 If you’re looking for a Colorado Springs wedding photographer, let’s get in touch!